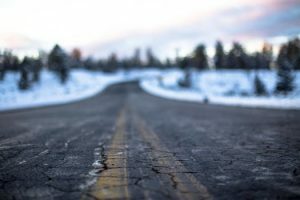 In Lindgren (Guardian ad litem of) v. Parks Canada Agency, 2017 BCSC 721, an injured infant brought a claim after being injured when another car lost control on the icy road and crossed into her family’s car on the trans-Canada highway. The plaintiff named Parks Canada Agency as a defendant for failing to maintain the road. The plaintiffs wanted to get additional documents related to the road from Parks Canada to prove their case and brought an application in court for production of daily winter maintenance road reports, daily worksheets, the operators ‘ snow and ice control logs, road conditions reports, AMA roads condition reports, and Parks Canada emergency dispatch reports, radio, and event logs. Parks Canada opposed the production of the requested documents on the basis that plaintiff had not followed all the procedural requirements. The production of documents in civil proceedings is governed by Rule 7-1 in the Supreme Court Civil Rules. Demands for additional documents are made under Rule 7-1(10) and 7-1(11). Rule 7-1(10) allows for a party to request disclosure of additional documents that should have been already listed in a party’s original list of documents. Rule 7-1(11) allows a party to demand additional documents and requires the demanding party to send a written demand identifying the types of documents sought and the reason why they should be disclosed. Master McDiarmid reiterated the necessary prerequisites for success on an application for production of documents under the rules and affirmed by the Supreme Court in Przybysz v. Crowe, 2011 BCSC 731, Edwards v. Ganzer, 2012 BCSC 138, Lit v. Hare, 2012 BCSC 1918 and reviewed the correspondence from both counsel.Although the plaintiff’s counsel had not made a direct demand in writing, they had written that they “will need to see” documents. Master McDiarmid held that this was a demand for documents, albeit an imperfect one. Master McDiarmid reviewed the pleadings and found that the requests for some reports were relevant based on the pleadings and reiterated the low bar to meet the test for production. He ordered production of the daily winter maintenance road reports and road condition reports for 6 days prior to the accident but dismissed the plaintiffs request for production of the remaining reports. He also reiterated the importance of proportionality in applying the Supreme Court Rules. Although he found that plaintiff’s counsel imperfectly followed the rules, he stated he “must not lose sight of the fact that it is the innocent infant plaintiff who needs a just trial on the merits”.